(TibetanReview.net, Mar19, 2018) – China has on Mar 17 expressed “resolute opposition” after US President Donald Trump signed a legislation that encouraged the United States to send senior officials to Taiwan to meet Taiwanese counterparts and vice versa. Like Tibet, China considers Taiwan its internal affair and opposes any kind of foreign government contacts with it. The “Taiwan Travel Act” is a non-binding bill which would have gone into effect on Mar 17 morning, even if Trump had not signed it. The US congress has in the past also adopted a non-binding resolution declaring Tibetan an independent country under illegal occupation by China. Communist China has not ruled out annexing Taiwan by force should the self-ruling island declare independence although it has never exercised any sovereign authority over the latter since its founding in 1949. Reacting to the current development, China’s Foreign Ministry has said in a statement that it had lodged “stern representations” with the United States, saying the law sent a “seriously wrong signal” to the forces of Taiwan independence. Taiwanese politics is dominated by two main political parties, one of which, namely the nationalist Kuomintang (KMT), favours reunification with China, but on its own democratic terms. The KMT had ruled China until it fled to Taiwan in 1949 after losing power in a civil war against the Communists. The other main party, the Democratic Progressive Party (DPP), is seen as favouring independence for Taiwan. China’s hostility towards Taiwan rose after the election in 2016 of President Tsai Ing-wen of the DPP. Beijing cut off official communications with Taipei because Tsai refuses to acknowledge the democratic island as part of “one China”. The Taiwanese government has welcomed the new US legislation, saying it looked forward to continuing to deepen its relationship with Washington. 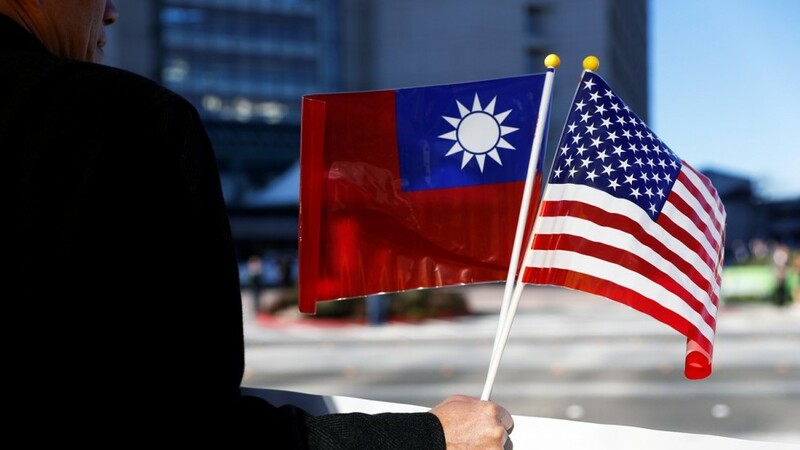 Its presidential office said in a statement Mar 17 that the United States was Taiwan’s most important ally and thanked the country for its steadfast support. The United States cut formal diplomatic ties with Taiwan in 1979 in favour of Beijing under the “one China” policy. However, it is required by law to help the island with self-defense and is the latter’s primary source of weapons. US representatives can already travel to democratic Taiwan and Taiwanese officials occasionally visit the White House, but meetings are usually low profile to avoid offending China, noted the AFP Mar 18.